I love working with restaurants because they are very entrepreneurial and so multi-faceted with their components of real estate, construction, manufacturing, experiential and hospitality. It’s a fun industry to work in, one that a lot of us started our first job in and we get to experience it outside of just the work aspect. It’s exciting to see a new concept start from the ground up and become the next big thing, or work with mature brands to help them continue to succeed. Dustin specializes in assurance services for restaurants. In addition to traditional audit, review and compilation services, he also consults with restaurants on best practices related to internal controls, benchmarking, franchise development, corporate structures, financing options and growth strategies. 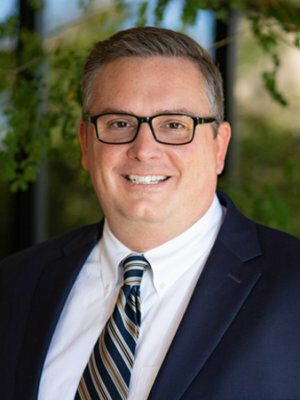 Dustin’s more than 20 years of public accounting experience includes working with many of the nation’s fastest-growing restaurants and most well-respected brands across all segments of the industry – including franchisors, franchisees, independents, emerging brands, startups and mature concepts. A diverse clientele gives Dustin experience tackling many different complex technical accounting issues, financial reporting requirements and industry-specific issues. Before joining Henry+Horne in 2019, Dustin was a Partner and Co-Leader of the National Restaurant Industry Group at BDO and served as Co-Director of Restaurant Services at SS&G before they merged with BDO. He also worked at PricewaterhouseCoopers for over six years in their Cincinnati and New York City offices. When he’s not working, you can find Dustin traveling the world (he’s visited all seven continents! ), enjoying the lake, tackling home improvement projects and spending time with family. An interesting fact about Dustin – he served in the Ohio Air National Guard for eight years as a cook and working in mortuary affairs.